Central Embassy is Thailand’s new flagship property, the gem in an illustrious string of high-profile projects by Thailand’s largest retail chain, Central Group. Besides the merging of traditional craftsmanship with contemporary digital design to produce a stunning, iconic landmark for the city of Bangkok and the non-linear experience interior design, a special flooring system should be contributed to the overall impression. 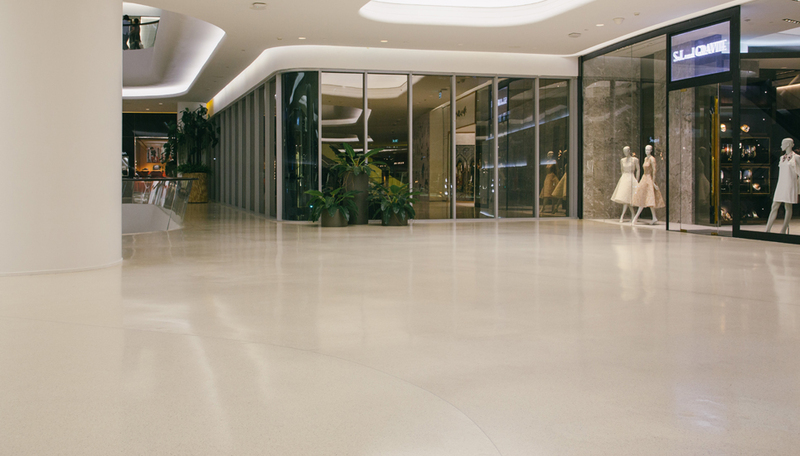 The project was challenged due it was the big project of epoxy terrazzo in Thailand. Together with the experienced product manufacturer, Resdev, a detail grinding and polishing procedures was successfully developed to the satisfaction of the owner. 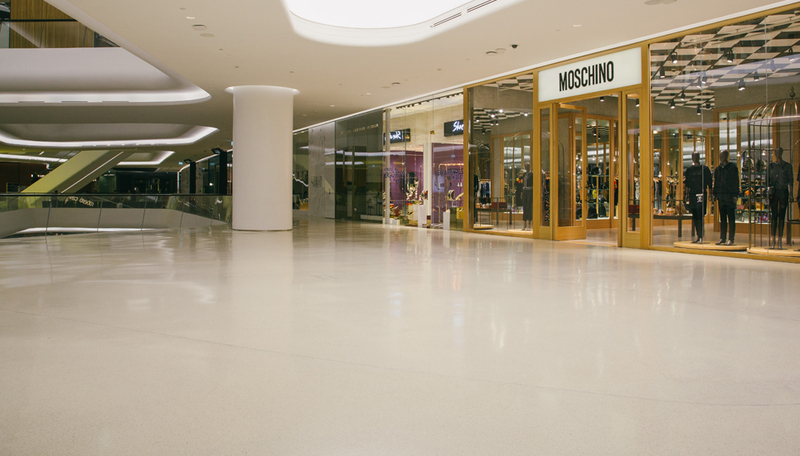 Mozaico, the epoxy terrazzo flooring was chosen as the highlight of this area. The light color of flooring created the simple but luxury feeling while, the minimal of metal strip of the overall area symbolized the elegant decoration.